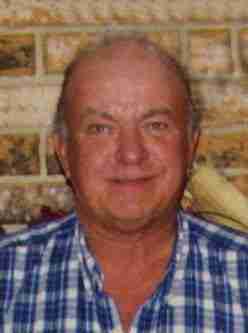 Bruce Allen Steele, age 63 of rural Scarville, Iowa, died at his home on Wednesday, December 19, 2018. Funeral services will be held at 1:30 PM on Thursday, December 27, 2018 at Mittelstadt Funeral Home, 902 East Main Street in Lake Mills with Mr. Kermit Singelstad officiating. Burial will be in the Center Evangelical Lutheran Church Cemetery, rural Lake Mills. Visitation will be on Wednesday, December 26, 2018 from 5:00 to 7:00 PM at Mittelstadt Funeral Home and will continue one hour prior to the service on Thursday. In lieu of flowers, please direct memorials to the American Heart Association, 5000 Westown Parkway, Suite 340, West Des Moines, IA 50266.